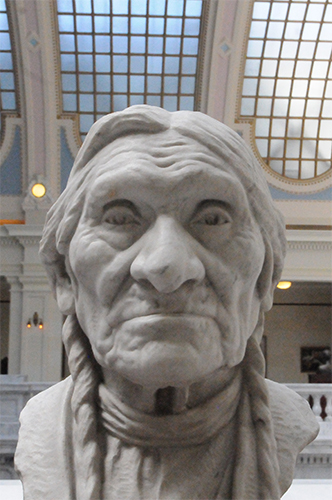 Unca Sam was a Ute Indian, a hunter, and a fur trader. He was a member of a peace mission sent to Washington, D.C. to negotiate with the U.S. government after the Meeker Massacre in Colorado in 1879. This marble statue, created by Millard Malin, sits in the southeast gallery on the fourth floor of the Capitol.